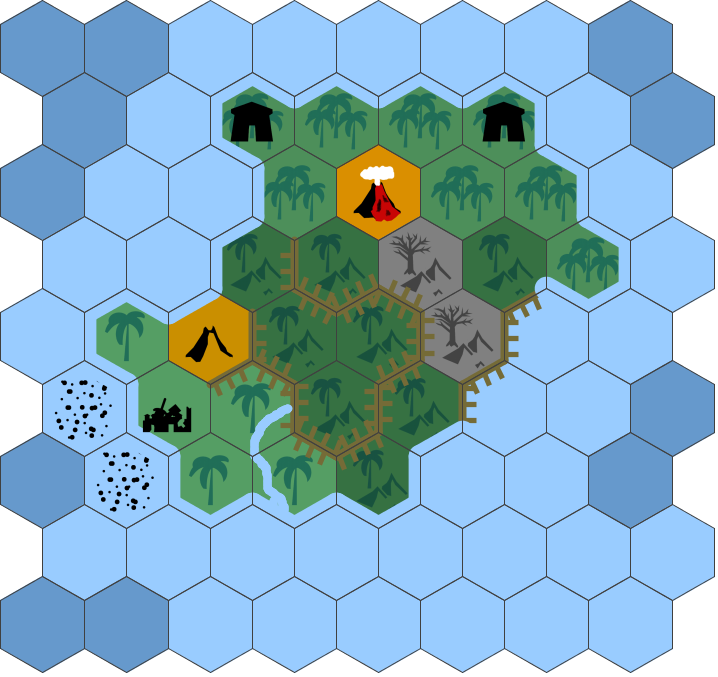 Swordfish Islands: Hexmaps or Maps with Hexes? 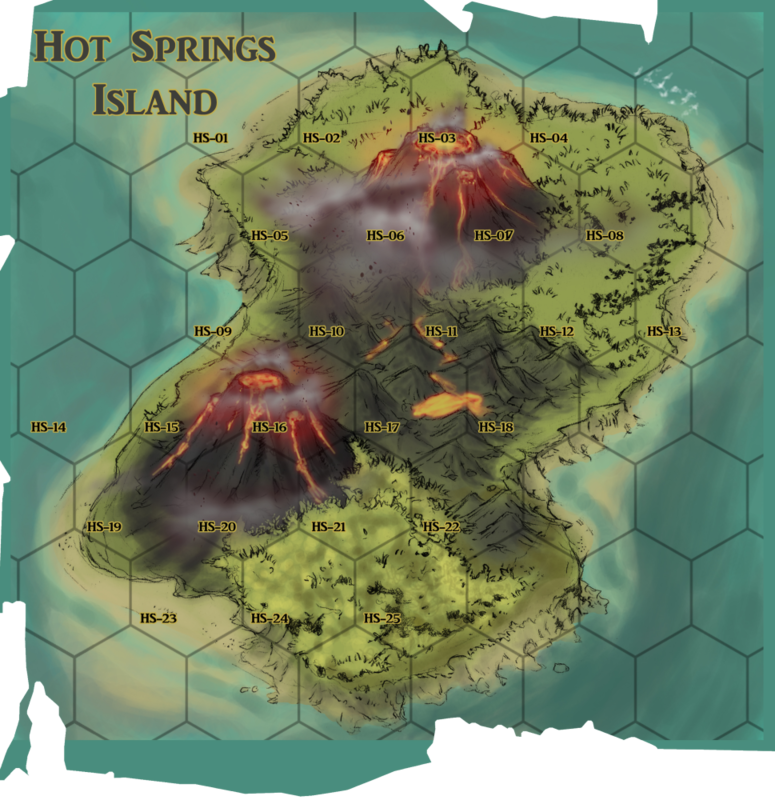 Hexmaps or Maps with Hexes? I swear that once upon a time I read a pretty heated rant about hexmaps not being hexmaps if they were "just a map overlayed with hexes". I can't find it for the life of me right now, but I'd love to link it here if I could. Here's Safari's first crack at mapping one of the islands. Hot Springs Island to be exact. Tweaks will be forthcoming, but this is absolutely the style we're shooting for. This map was drawn first and then the hexes were added, which led to some of the labeled hexes lacking land, and some of the non-labeled hexes containing it. This'll be adjusted in the near future, and more points of interest should start peeking out of the dense jungle to entice would be adventurers to explore their humid depths. Worked out in hexographer real quick for all the purists out there!